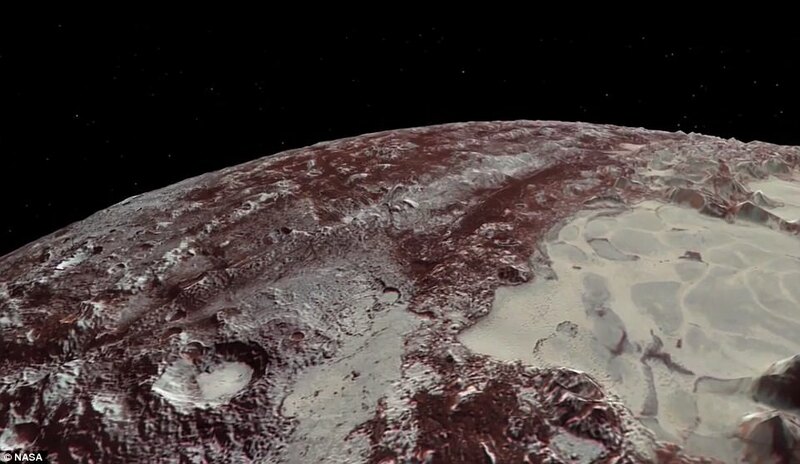 Two years after New Horizons spacecraft crossed Pluto, NASA releases astonishing images. New Horizons went over the dwarf planet in 2015 and managed to capture some stunning photos. NASA made a clip based on these images, in the form of an impressive animation. Arrived at the edge of the solar system, we can see how this mysterious planet looks like. Just like we are on board the spacecraft. It has also been discovered that Pluto has a very thin atmosphere, which astronomers have not expected this thing. In the following clip we can see the little dwarf in detail. The mountains, plains and craters on its surface are beginng to be studied by scientists. New Horizons is now out of our Solar System exploring a completely unknown zone. Its next mission is a very small object with a diameter of 48 kilometers and situated at 1.6 bilion kilometers away from Pluto. Its name is 2014 MU69 and will be reached in 2019.